For 10 years, I’ve had the honor of helping people during one of the most difficult times in their lives. As a registered nurse and patient and family advocate at The Mesothelioma Center at Asbestos.com, I have helped hundreds of patients diagnosed with this rare disease find the resources they need in their cancer battle. Often, the first step is identifying the needs of the patient when it comes to treatment. Some were just diagnosed and have yet to start any treatment. Others have already begun chemotherapy, and their local oncologist has already ruled out surgery as an option. I speak with patients every day. No call is the same as the last. While many have the same general diagnosis — mesothelioma — every patient is unique. Because of this, I take an individualized approach to helping each patient. My goal is to learn all the facts, hear the patient’s needs and give them guidance and objectives to help them along their cancer journey. As you would expect, when patients call me, they ask a lot of questions. Am I a candidate for surgery? Why did my doctor tell me surgery wasn’t an option? Am I eligible for immunotherapy or mesothelioma clinical trials? In order to answer these questions to the best of my ability, it’s important to first listen and then ask questions myself to find out more about the patient and their situation. These are all questions the patient can answer. From there, I try and gather more information about their diagnosis by asking some more detailed questions. Many times, a patient might not know their mesothelioma cell type or even the stage of their cancer. This is when I tell them questions to ask their medical team. It is essential to have all the facts before advising patients on treatment. This often involves whether they are a candidate for surgery. Mesothelioma is an extremely rare diagnosis. Chances are, your primary care physician or even your local oncologist has never treated anyone with mesothelioma. I recently spoke with a guy from Alaska that had already started chemotherapy. I asked him why his doctors didn’t offer surgery, and he told me it never came up. This is all-too-often the case. The majority of mesothelioma patients are not eligible for surgery. The hard truth is that only 15 to 20 percent of people with pleural mesothelioma — the most common type — qualify for tumor-removing surgery. Even then, up to 25 percent of patients cleared for surgery are found to be inoperable after additional tests are performed. But it is important to at least ask if surgery is an option, and if not, why you are ineligible. Some patients are persistent on surgery, wanting to connect with one of the nation’s top mesothelioma surgeons even after they’ve been told they are not a surgical candidate. Others may be a surgical candidate and not know it. A qualified and experienced surgeon will not operate on a mesothelioma patient if tumors have spread too far or if the person is deemed too weak for aggressive surgery. In these cases, surgery is more dangerous than the cancer itself. For example, surgery isn’t a good idea for people with underlying medical issues such as kidney disease. On the other hand, if a 50-year-old man has mesothelioma and his oncologist is only treating him chemically, I will ask why his doctor didn’t suggest surgery that could potentially add years to his life. It’s all about finding what’s in the best interest for the patient, even if it may not be the answer the patient wants to hear. We often stress the importance of seeing a mesothelioma specialist, especially when it comes to getting a second opinion on the stage or cell type of the diagnosis. Choosing the right specialist also ensures a patient receives the best treatment options. But surgery is not always an option or the best treatment decision. This is why I often direct patients to their local cancer center for first- or second-line treatments such as chemotherapy, radiation therapy or immunotherapy. Large mesothelioma specialty centers such as Brigham and Women’s Hospital in Boston or the Lung Institute at Baylor College of Medicine in Houston require detailed medical records, diagnostic scans and a biopsy before a patient can register for an appointment. 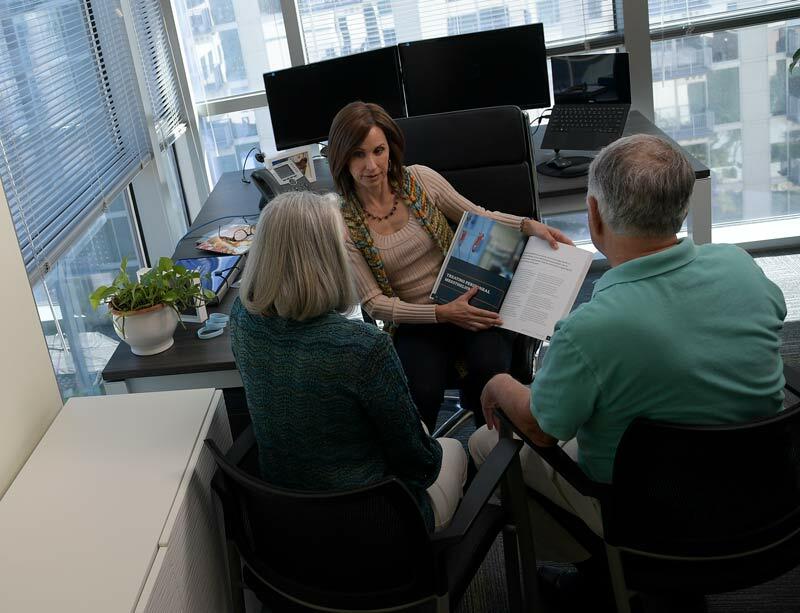 Sometimes patients may visit these specialty centers for medical oncology — not surgical oncology — consultations and then go back home for treatment such as chemotherapy. While your local hospital or cancer center may not have experience treating mesothelioma, once you have a treatment plan in place, medical oncologists closer to your home can typically administer chemotherapy or immunotherapy. My goal is to help the patient avoid unnecessary steps. There may be no reason to travel hundreds or thousands of miles to seek treatment. It all starts with evaluating the patient’s individual situation. I try to answer their questions, ask plenty of my own and learn their needs. From there, I can advise them on a personalized basis as an individual, not just as a mesothelioma patient.